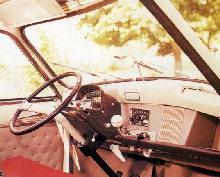 The Citroen Ami 6 was launched at the Paris motor show in 1961. 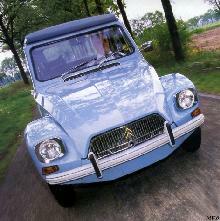 It was a larger version of the 2CV but not much better looking than the original. 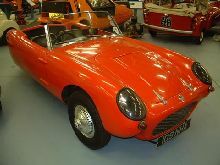 The four-door car was powered by an air-cooled opposed twin cylinder engine of 602 cc that produced 22 bhp initially but finally in 1969 yielded 32 bhp. The Ami 6 was intended for those who did not like to drive such an ugly car as the 2CV. The inward slanting rear window was an unusual feature it was like that of the Ford Anglia. 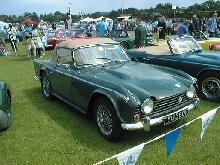 The successor was the Ami 8 which had the same 32 bhp boxer engine but a new body.